It’s officially summer and you’re probably in over your heads. But if you can come up for air, we want to collect your USDA successes/frustrations, introduce our new staffers and this season’s Bootstrap Bloggers, and update you on our fight for affordable farmland. The USDA is making a real effort to serve new farmers and just rolled out a new website this week to introduce them to the agency. Check out usda.gov/newfarmers to learn more about low-interest loans, crop insurance, conservation programs and more! 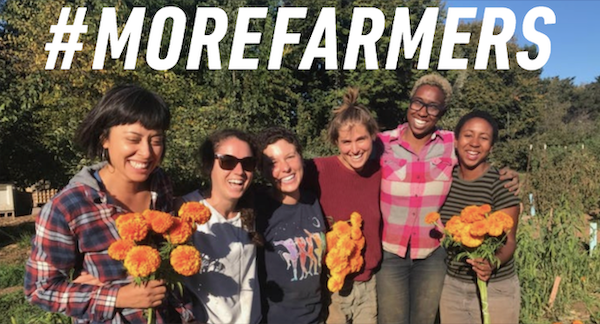 And while USDA makes explicit they are here to serve all new farmers (from row-crop farms to CSAs), many of the agency’s services still aren’t reaching the young farmers who need them most. That’s why NYFC led advocacy to create the new FSA microloan program and to change the Farm Storage Facilities loan to include wash and pack stations. USDA is looking to our coalition for advice on how to better serve new farmers. Right now, we’re asking members to share their experiences with USDA (the good, bad and ugly)–which programs work, which do not, and what services USDA could provide that are better tailored to new farmer needs. Based on this information, NYFC will advocate for change within the agency. Finding affordable farmland is one of the toughest challenges for any farmer. In 2013, NYFC released Conservation 2.0: How Land Trusts Can Protect America’s Working Farms, a report detailing how land trusts can help transition land between generations of farmers. Following up on the report, NYFC and the National Sustainable Agriculture Coalition together fought and won a small Farm Bill change with big potential. We added farm viability” to the purpose of the federal program that funds farmland conservation. To us, farm viability means farmland owned and operated by farmers – and more public dollars to conservation projects that keep farmers on the land. The USDA is now in ‘rulemaking’ – a process to determine how to implement the new language. That’s why we traveled to DC this month to meet with Chief Weller of the Natural Resources Conservation Service (NRCS) to share our vision of farm viability. We asked NRCS to fulfill the program’s new purpose by funding projects that keep farmland at its agricultural value – the highest value a farmer is able to pay for it. With the support of federal funding, more land trusts across the country will be able to protect farmland from development and keep it in production and affordable to future generations. We have two new editions to the NYFC team. At the end of May, Holly Rippon Butler joined the coalition as our Land Access Campaign Manager and Eric Hansen as our DC-based Policy Analyst. Read more about who they are and how they can help you! Are you Following Hannah, Nate, Anna and Seth … the 2014 Bootstrap Bloggers? Nate and Liz apprenticed at Maple Wind Farm in Huntington, Vermont before starting Nightfall Farm in Indiana. Hannah Sargent of Forager Farm in North Dakota focuses on reviving her food culture and growing our food relationship. Nate Brownlee of Nightfall Farm in Indiana finds his calling in the lifecycle of a chicken and the camaraderie of the farming world. Anna Metscher, Alissa Moore and Joseph Dittman of Wild Ridge Farm in Wisconsin take great pleasure in providing people with produce and farm because most of the time it’s all they want to do. 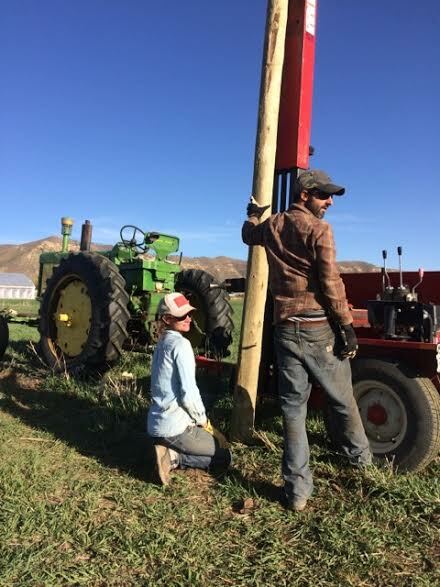 Seth Douglas of Lemonade Springs Farm in California is saying cusses when it comes to cusses that can be said about farming’s many frustrations. Austin, TX – July 16 Texas Young Farmers Coalition Hang Out @ Black Star Coop! 7020 Easy Wind Dr, Suite 100, Austin, Texas, starts at 7pm. Join TXYFC at the Black Star Coop Pub and Brewery every 3rd Wednesday of the month for some of the delicious brews and eats. Very casual. London, KY – June 28 Beginning Farmers Meet Up Eastern Kentucky Sustainable Harvest Farm 108 Pistol Creek Rd. London, KY, starts at 7pm. Join other area farmers for an informal gathering to share a meal and talk shop. Bring a dish to share, a plate, fork and lawn chair.